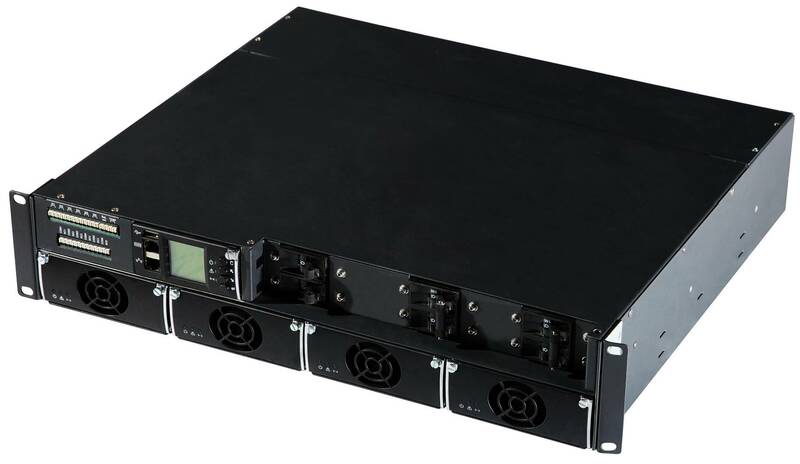 19’’2U sub-rack, easy to be embedded into all standard telecom equipment 8kW system capacity Up to 0.99 power factor Intelligent fan-cooling . Rectifier modules hot-s wap N+1 rectifier module redundancy Advanced batteries monitoring and management ECO mode High power density. Introduction Smart SYS SL-1300R48 system is and intelligent power system, It can house up to 4*2KW rectifiers and 1*SC500 controller. Dry contact use front access and front operation. AC input and DC output use rear access and rear connection. With compact design, easy installation Two levels Low Voltage Disconnect (LVD) protection Two battery MCBs Compatible with rectifiers of the same size. Fiber optic network – Access network Satellite communication ground station . Transmission equipment – Mobile communication ESS. 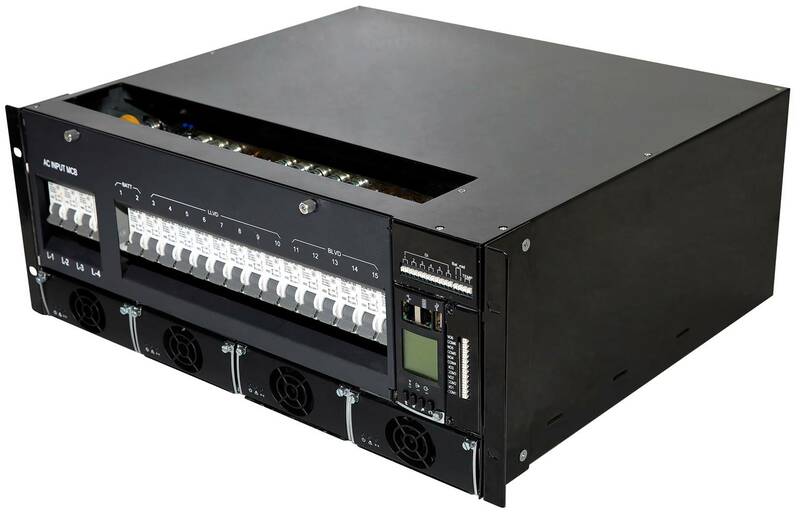 19’’4U sub-rack, easy to be embedded into all standard telecom equipment Up to 12kW system capacity Up to 0.99 power factor Intelligent fan-cooling. Rectifier modules hot-swap N+1 rectifier module redundancy Advanced batteries monitoring and management ECO mode High power density. Smart SYS SL-1500R48 system is a compact and intelligent power system, It can house up to 4*3KW rectifiers and 1*SC500 controller. AC input, DC output and dry contact use front access and front operation With compact design, easy installation Two levels Low Voltage Disconnect (LVD) protection Two battery MCBs Compatible with rectifiers of the same size. Fiber optic network – Access network – Satellite communication ground station – Transmission equipment – Mobile communication ESS. The standard 1U*2U structure can save more space. RS485 or Ethernet interface for PC connection locally or remote, and the stronger WEB server is recommended. Front panel LCD and four buttons for on-site using without PC Easily configurable file upload/download via USB or PC Easily update software via controller or USB or PC GPRS or 3G function is optional Advanced battery management, both Lead-acid battery and Lithium-battery Up to 86 digital outputs can be supported Up to 46 digital inputs can be supported Multiple LVDs control Battery mid-point monitoring Authority management and operator access levels protection Event log(up to 90000 records, totally) Alarm log(up to 10000 records) More user-selectable languages Programmable Logic Control(PLC) function, more flexible requirements can be supported. 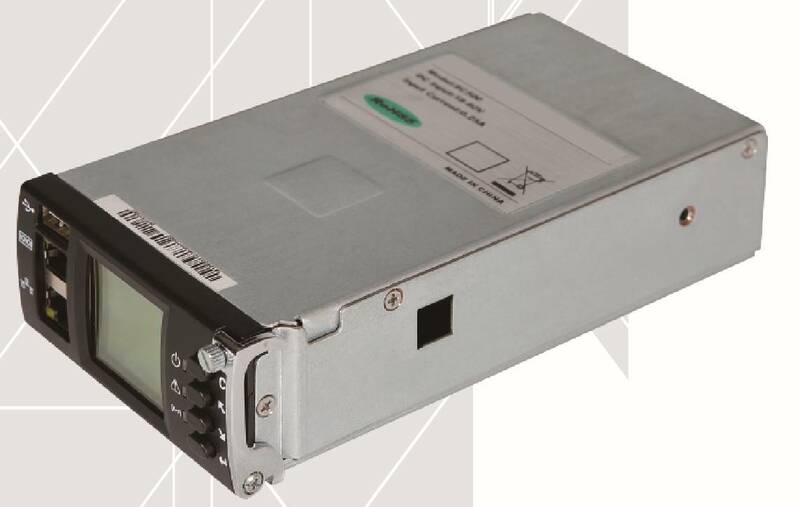 The advanced SL-601 controller is a powerful and cost-effective module, developed for monitoring and controlling a wide range of DC power supply systems The controller can be used to communicate small, medium and large power systems. It has a friendly and easy to operate interface User can operate the system via the four front keys and the LCD-display User can monitor and control the system by using the SNMP via ethernet. Wireless communication – Broadband and network access – Satellite communication ground station – 3G,4G base station – Other telecom applications. High efficiency and high power density 95.5% efficiency and 28.64W/in3 power density. Digital control Digital primary and secondary control, realize excellent monitoring and regulation. High reliability design One fan front-to-back air flow with latest thermal solution and experienced design. Excellent EMC performance Lower interference and excellent susceptibility give module better compatibility. Global approvals Meet CE, UL and TUV standard. 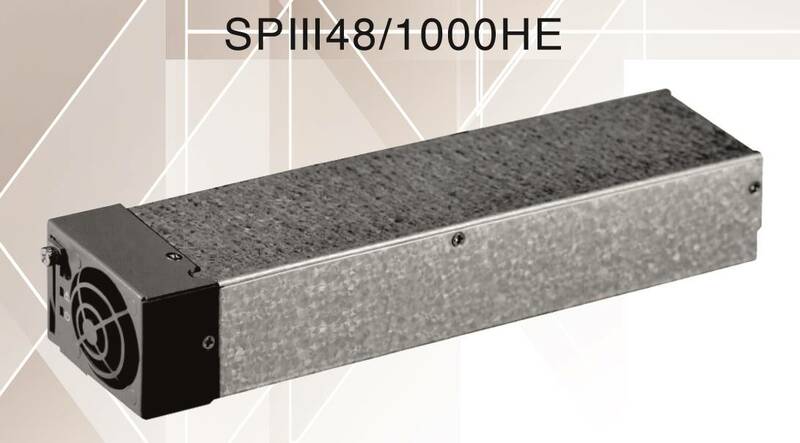 SP III 48/1000HE is a digital rectifier with outstanding reliability, efficiency and power density. It is specially designed for telecom, network access, services and so on. High efficiency and high power density 96,2% efficiency and 22.40W/in3 power density. 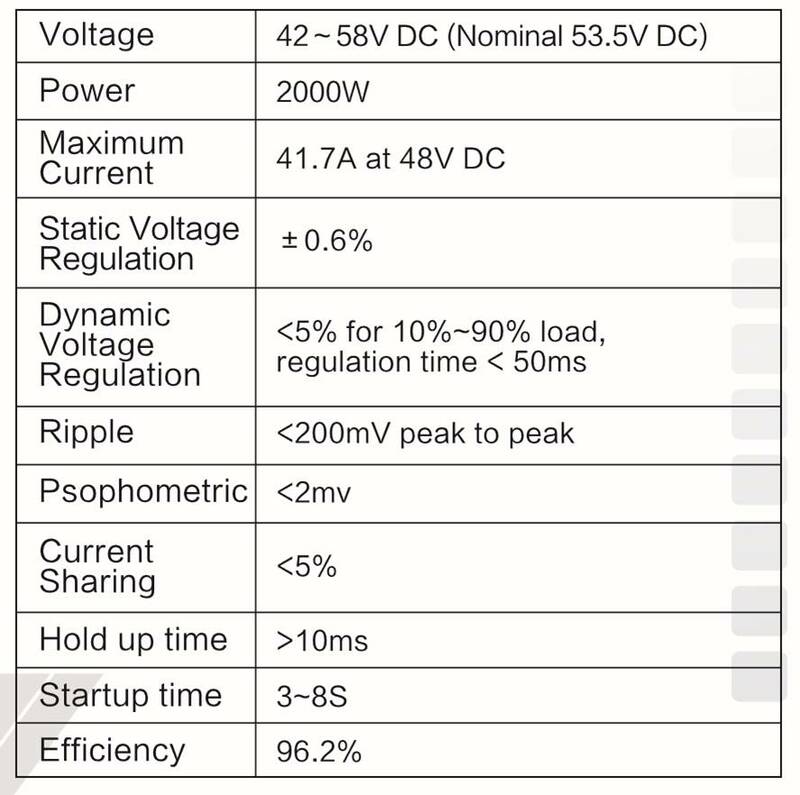 SP-ll-48/2000HE is a digital rectifier with outstanding reliability, efficiency and power density. It is specially designed for telecom, network access, services and data center applications. 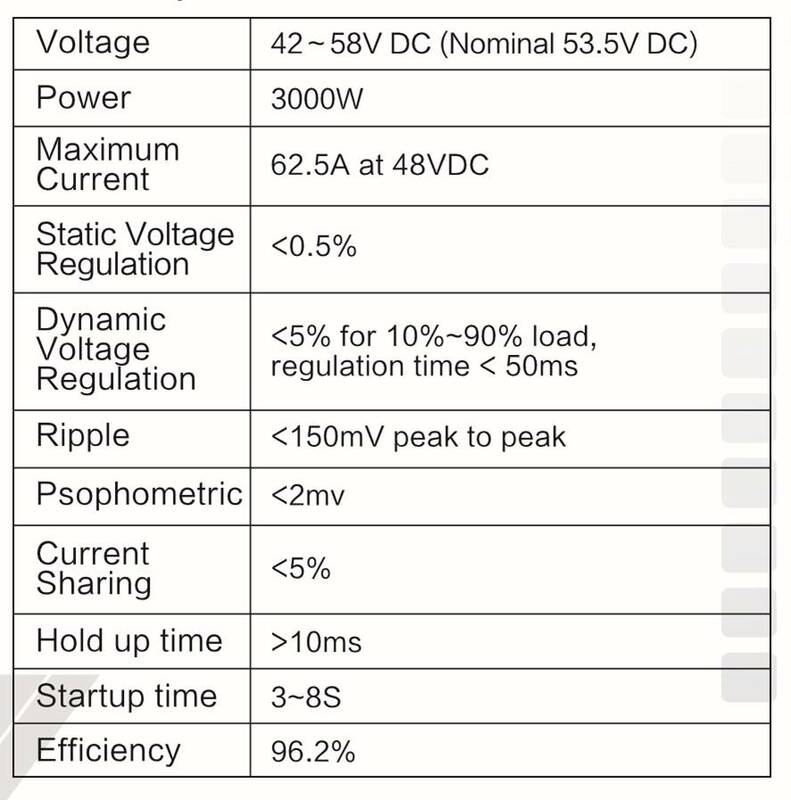 High efficiency and high power density 96,2% efficiency and 33.43W/in3 power density. 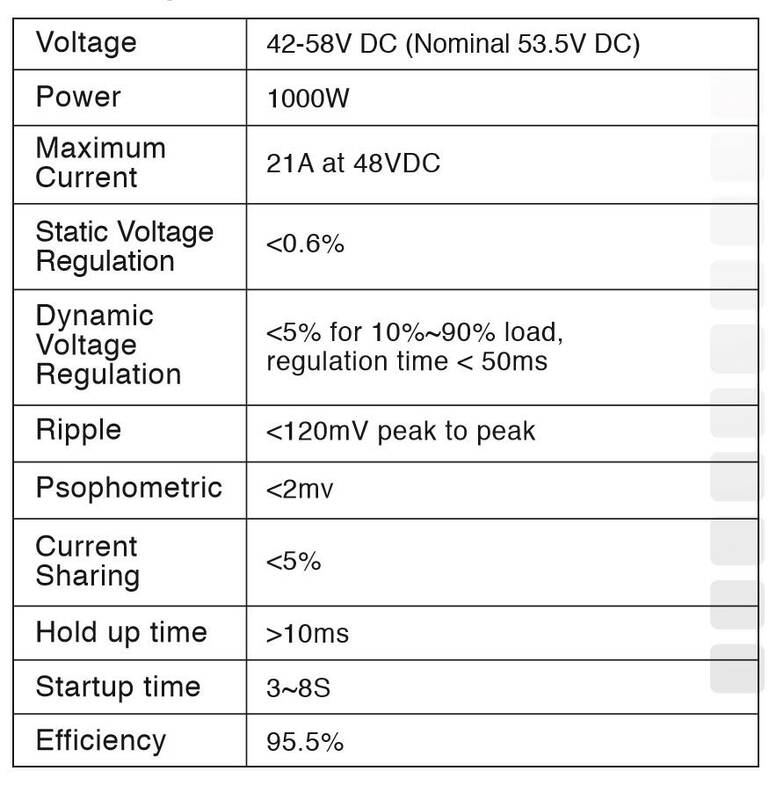 HHEX-SP-ll-48/3000HE is a digital rectifier with outstanding reliability, efficiency and power density. It is specially designed for telecom, network access, services and data center applications.